St Louis, with a current median home price of about $165,000 is one of the more affordable places to live in country, however, St Louis also has it’s expensive real estate as well. Granted, a couple of million bucks goes a lot further here than it does in, say, San Francisco, where the median home price is about $1.1 million and, at a median price of about $950/sq ft, only buys you a home with about 1,100 square feet. Here in St Louis, while even the most expensive homes don’t usually fetch anything close to $950/foot, we do have homes that sell for several million dollars. What kind of house can you get for $5 million in St Louis? 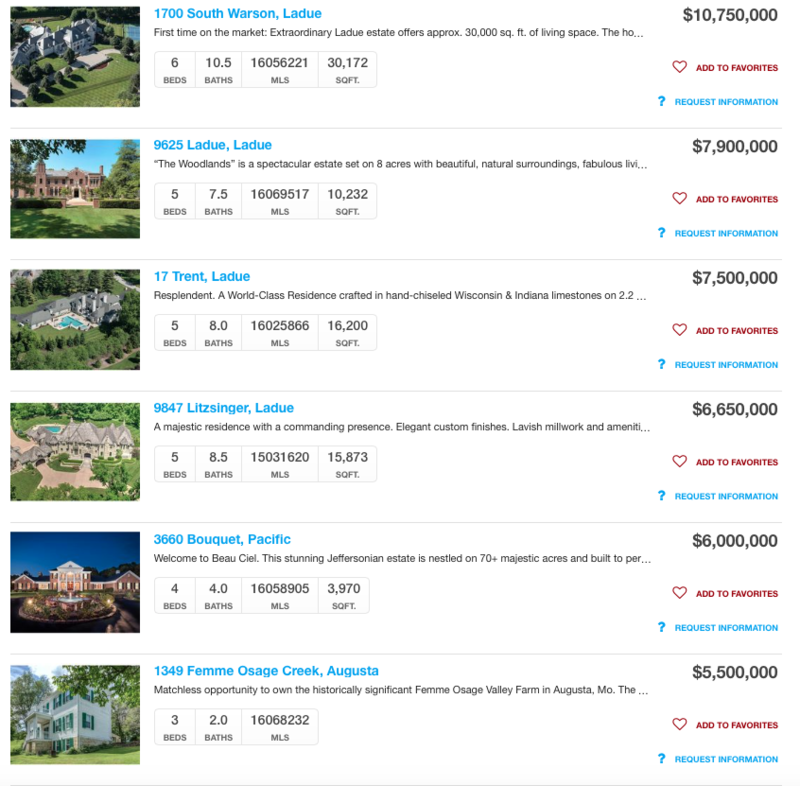 Currently, there are 6 $5 Mil+ homes on the market in the St Louis with the most expensive one being the Dennis & Judy Jones home in Ladue for $10.75 million, followed by 3 more in Ladue, one home in Pacific and one in Augusta. See all of the $5Mil+ homes on the market below.